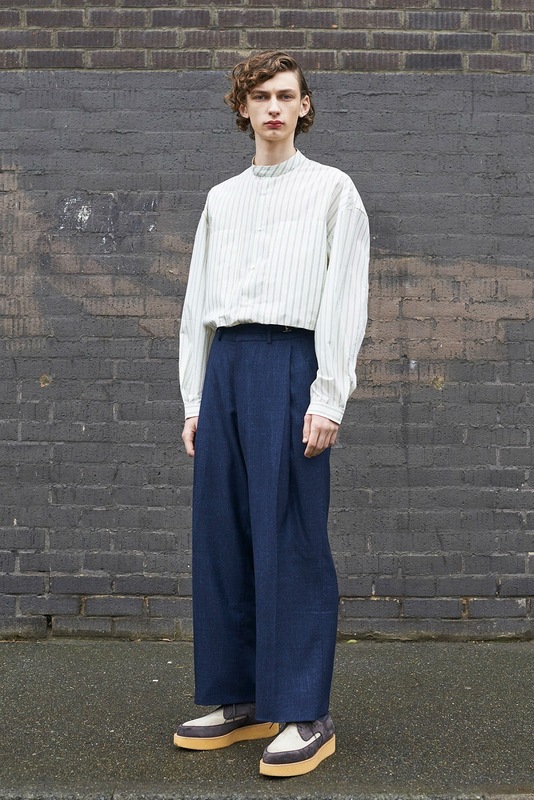 Good proportions, nice styling, a solid collection overall. 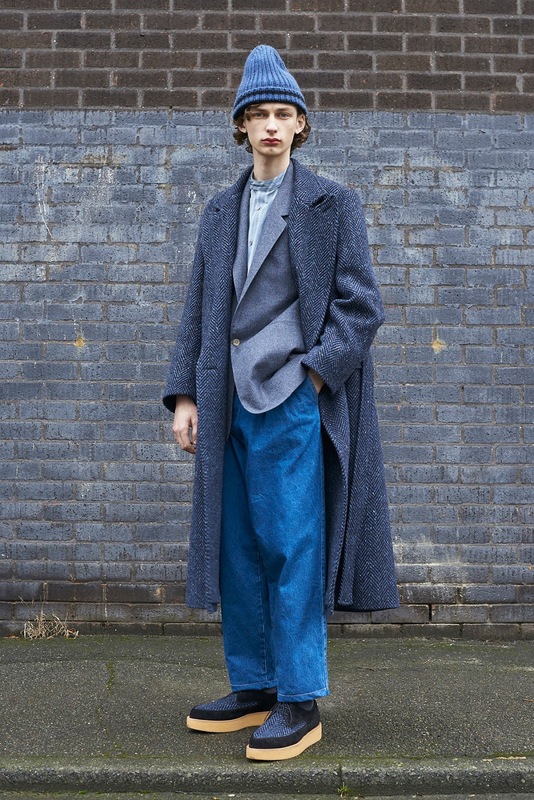 E. Tautz is one of those brands that I immediately check out once the images drop during London Fashion Week. However I am rather embarrassed to admit that I usually seem to forget that it exists outside of that, which is a real shame. 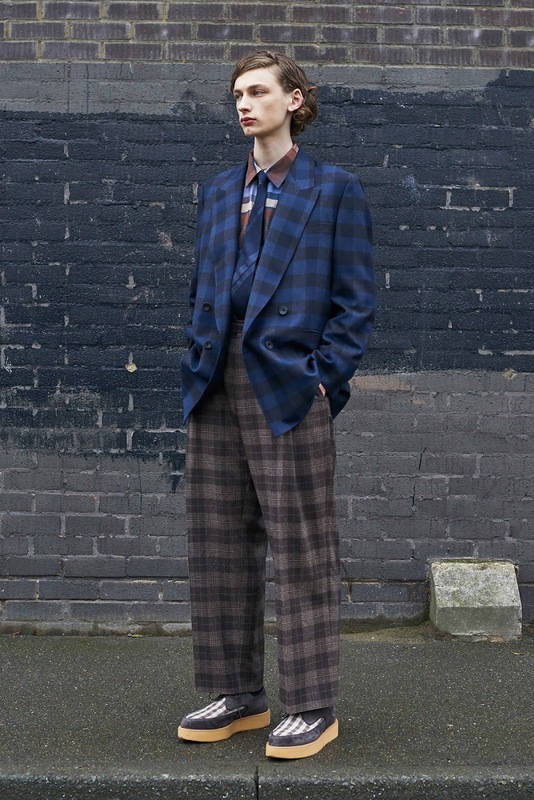 Patrick Grant has developed the brand aesthetic in a very considered and organic fashion over the past few seasons. 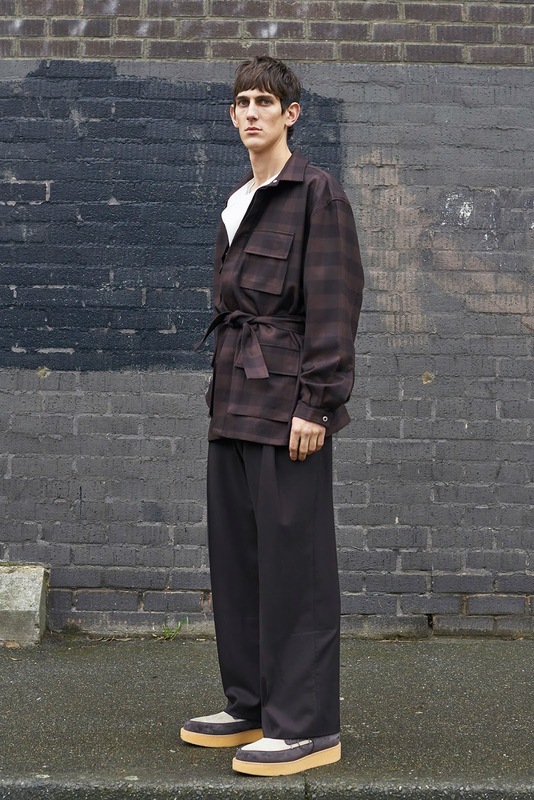 But I guess for me, even though the clothing is made to a fantastic standard, and there are always individual pieces I like, the collections as a whole tend to get overshadowed. But with his most recent collection I have to say that I was pleasantly surprised. It has been a very energetic season in London overall (aren't they always I suppose), and so what actually caught my eye was how relatively understated this was in comparison. 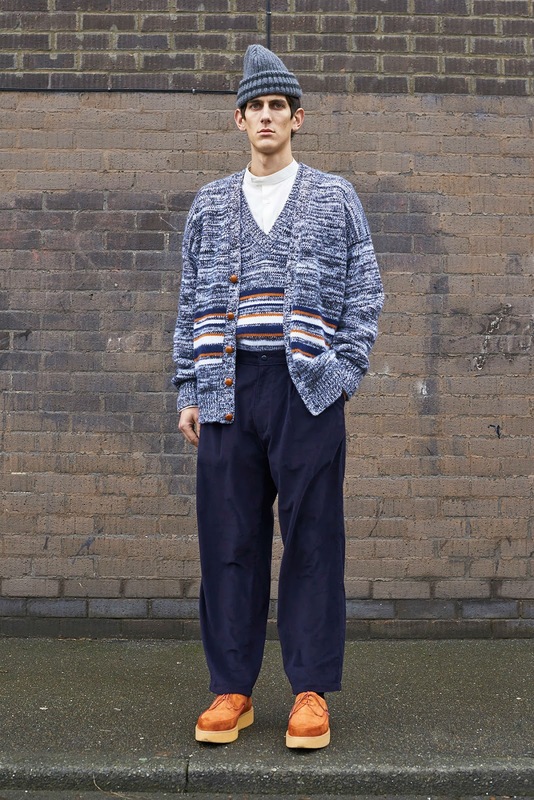 I had a similar sort of feeling with Hussein Chalayan's collection, which is currently my favourite from the London men's collections. The term dadcore has been applied to this collection by reviewers thus far. I always wonder whose dad they are talking about with that term, but maybe that is just me. 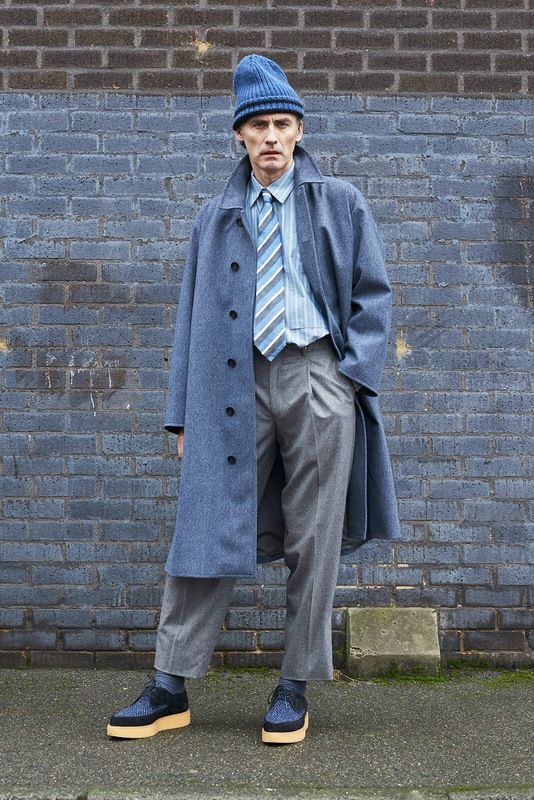 I actually have the same reaction to people talking about geography teachers, because I am still not sure what a geography teacher is meant to dress like. The only geography teacher I remember having wore cheap shiny suits and square-toe loafers, so not exactly the chicest of inspirations. I can imagine Rei doing something with that for Comme, but then she could make just about anything work, so I had better not tempt fate. But yes, the dadcore aesthetic has been everywhere the past few seasons. 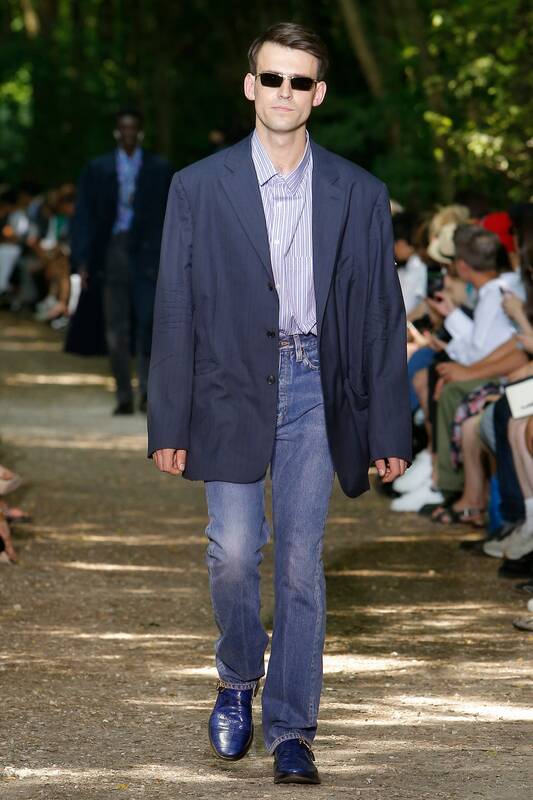 I think that Demna may have taken it a bit too far (to put it delicately) with his Spring/Summer 2018 collection for Balenciaga, but I thought that this collection got it totally right. The proportions looked back to the 1980s without being too extreme, and the looks flowed really well. 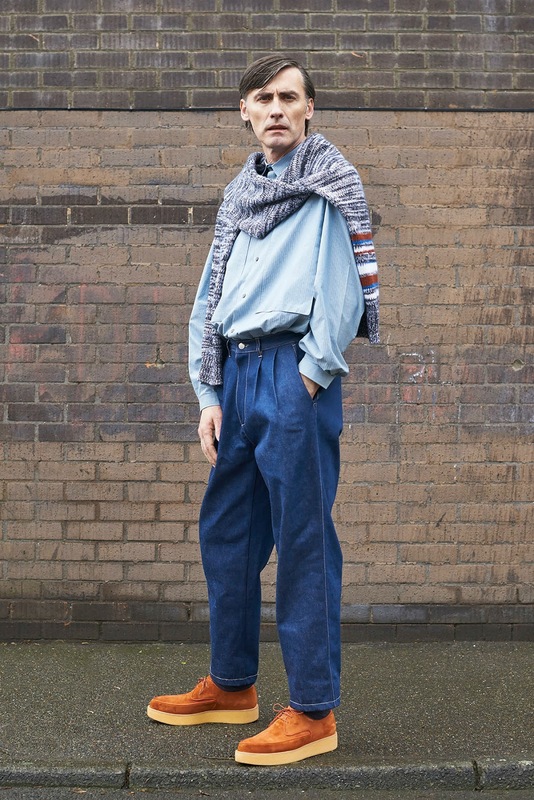 I think the styling really sold it to me, even though I would love to grab some of pieces and throw them together with some workwear boots and chunky knitwear. 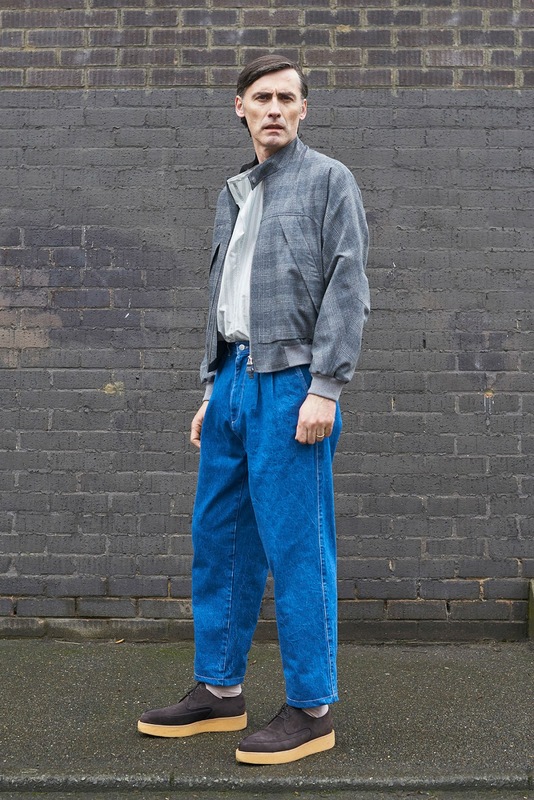 I was particularly taken by the jeans - they seemed to be thoroughly in line with the current zeitgeist in terms of cut, but had a nice nostalgia to the colour and detailing. I also thought the outerwear was really good, especially the belted jacket I have posted as the last photograph - if it comes in black, you can sign me up right now for a pre-order. I've often found myself walking by the store and thinking "oh it looks really nice in there", but then I never go in. I know no dad's dressing like this. I know right? I think it's definitely worth popping into next time!